Steven (Chicagoland, United States) on 18 April 2018 in Abstract & Conceptual and Portfolio. Oil and water medium where I used a clear baking dish that was held in place with my kitchen sink and a computer tablet was placed underneath with various color photos to get the backgrounds. Photo captured March 5, 2018. The colors and shapes are very beautiful. Jeux de couleurs vraiment superbes ! I do appreciate this combination of colours. Celle-ci est vraiment superbe ! Superbe aussi celle-ci, et cela me fait penser à des bonbons. Gourmande peut-être ? These are great, Steven. The colour range is awesome. 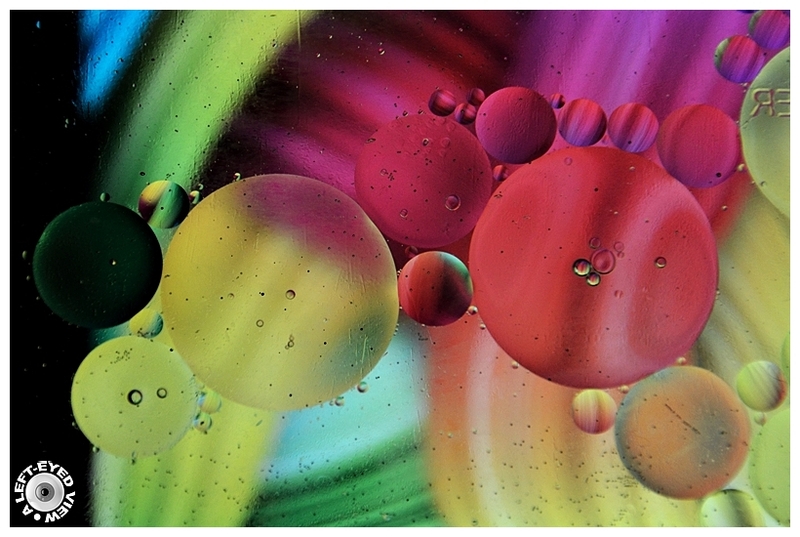 A beautiful and very creative picture of these oil and water circles. These are so beautiful and really cool. Encore de belles couleurs. Magnifique prise. How did you create such colourful background? I love the way the oil drops pick up the various colors. This is a really nice one. Beautiful composition and and colors! One more photo that worked well.